I have a host of vintage nature craft books that I have picked up at thrift stores, estate sales and on ebay. 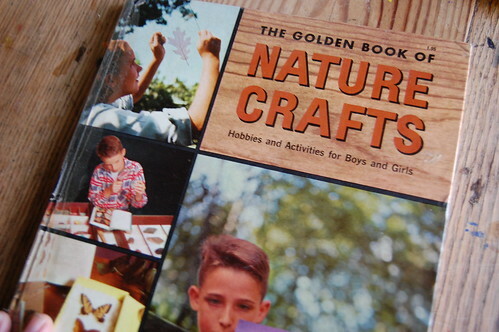 And one of the books the boys and I keep coming back to is The Golden Book of Nature Crafts. We love, love this book. 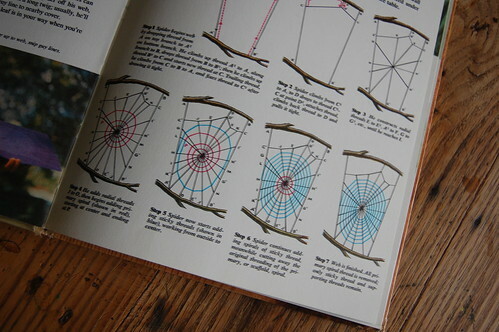 I have had it for a few years, but ever since flipping through it for the first time I have wanted to try one particular project...catching a spider web. 3. Spray the spider's web from each angle with white spray paint, careful not to get any spray on nearby leaves, fence, etc. This may require the use of some newspaper as a dropcloth. 4. 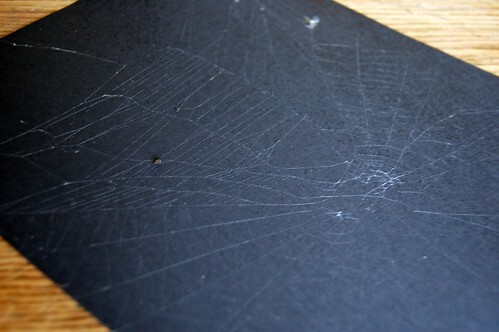 With the black paper behind the web, slowly bring the paper towards you until it touches the web. 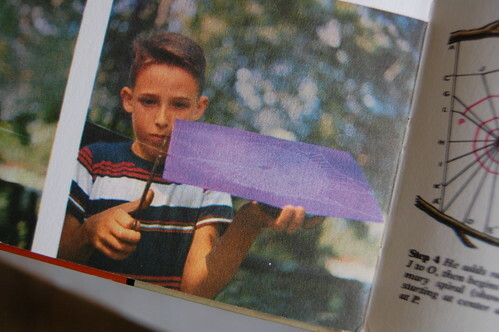 Then with the web on the paper, carefully cut the guy lines holding the web in place. 5. Document with chalk or pencil on the back of the paper the date and where the web was collected. Charlotte, our friendly summer spider, finally disappeared from her web. The boys were sad, but this project provided the perfect memorial to a spider that gave us a whole summer's worth of amazement.